Isaac Juarez was called to be with our Lord and Savior November 24, 2018. 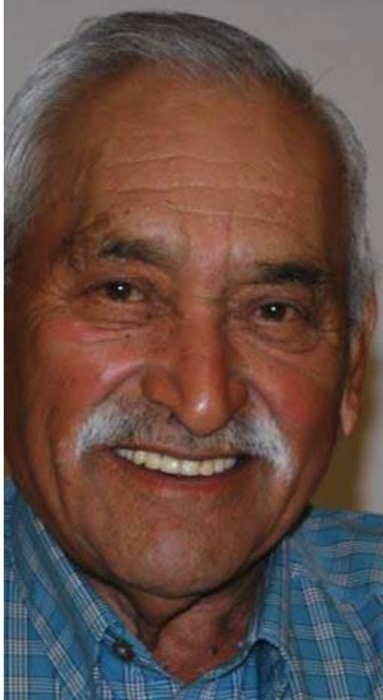 He was born October 18, 1933 to the late Isabel and Reyes Juarez in Marlin, TX. Isaac married the late Martina Castilleja Juarez in 1952 in Clovis, NM. Isaac had a deep passion for farming and was the happiest when driving a tractor, which he did all his life. He loved being with his family and friends, and knew no stranger. Those left to cherish his memory are his eight children John and wife Belma Juarez of Amarillo, Silvia and husband Louis Martinez of Glenn Heights, Linda and husband David Marquez of Petersburg, Mary and husband Steve Landin of Carrollton, Delma and husband Jimmy Marquez of Petersburg, Rosie and husband David Carrillo of Lubbock, Isaac Juarez Jr. of Petersburg and Becky and husband Hector Champion of Petersburg. Fifteen grandchildren, twenty-seven great grandchildren and two great-great grandchildren, one brother Felix Juarez and his beloved dog Blackie. He was preceded in death by his brother Thomas Juarez. Isaac was a loving father, grandfather, brother, and friend who will be truly missed by all that knew him. A rosary service will be 7pm November 26, 2018 at Chapel of Grace Funeral Home. A mass of Christian burial will be celebrated 10am Tuesday November 27, 2018 at Sacred Heart Catholic Church in Petersburg, TX with interment following at the Petersburg Cemetery.